Blue jeans are fantastic. A wardrobe staple, a classic, a must-have, etc. But do you ever slip on a pair of indigo jeans and feel a bit...bored? Sure, the classic pants are great, but there's got to be something more out there. 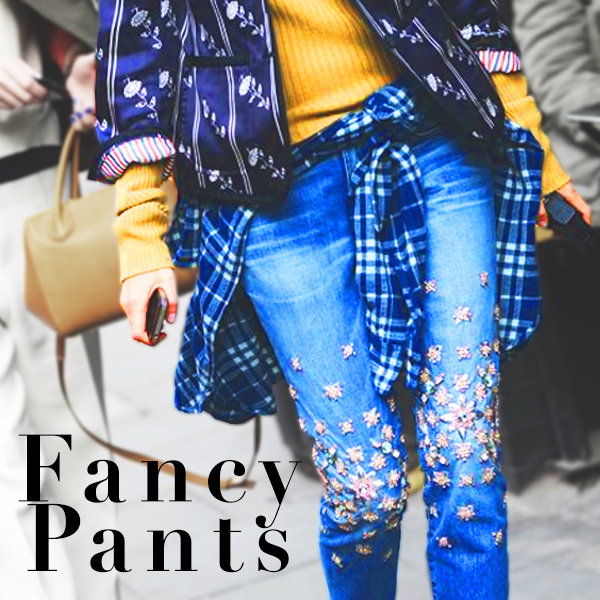 Lucky for you style stars who feel the monotony of the traditional blue jean, designers out there have similarly felt your plea and have combated the denim doldrums with new embellishments and bedazzelements. With these jeans, you'll never feel dull again!